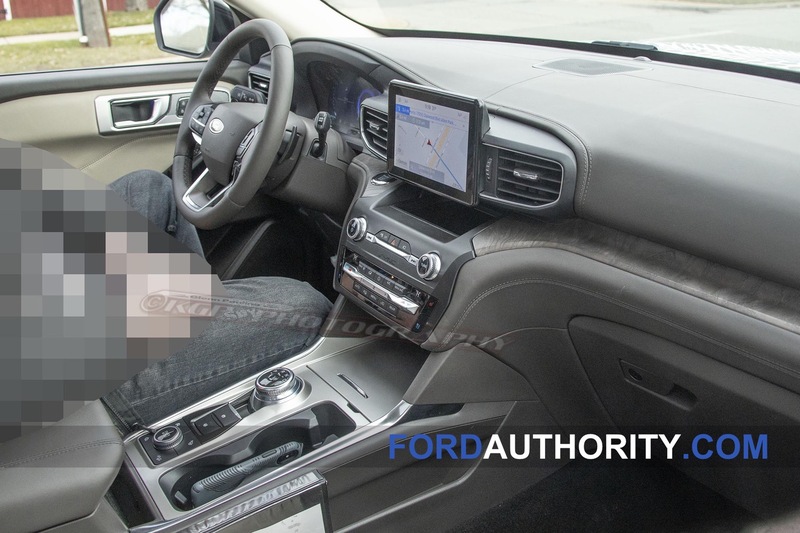 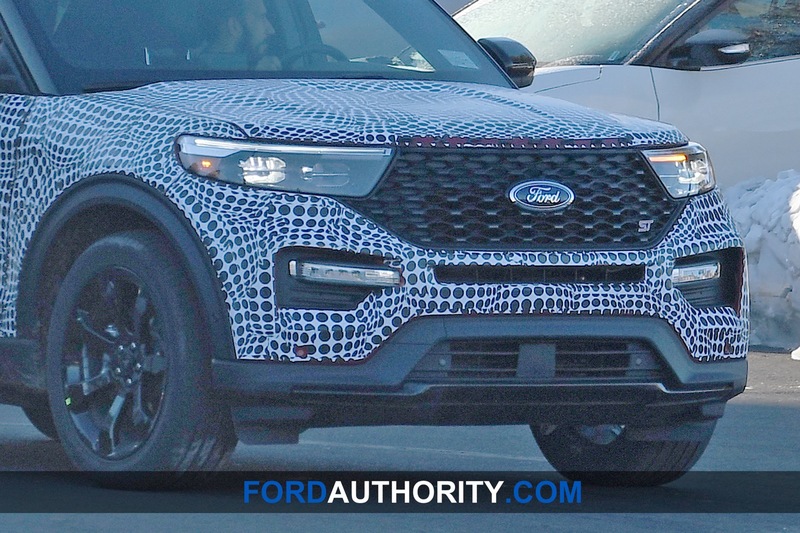 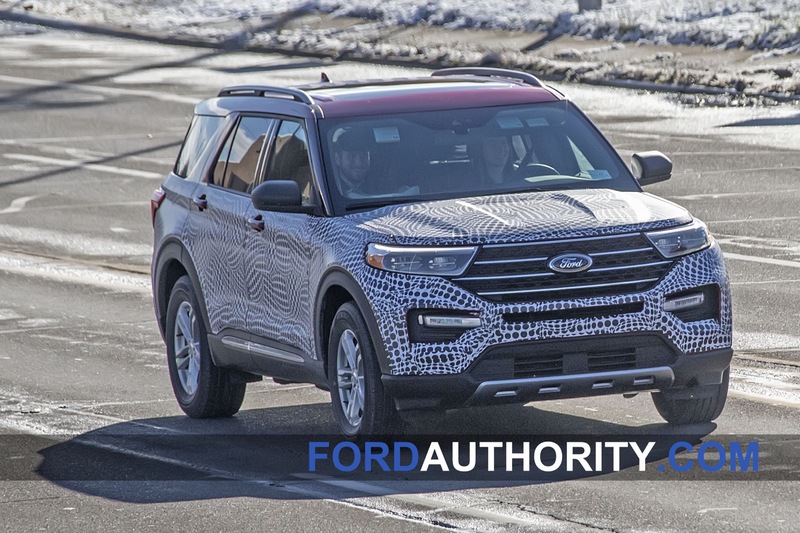 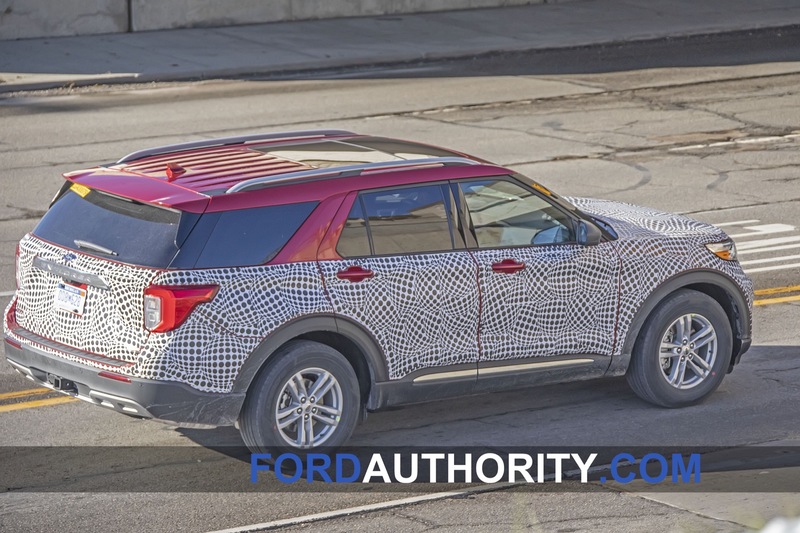 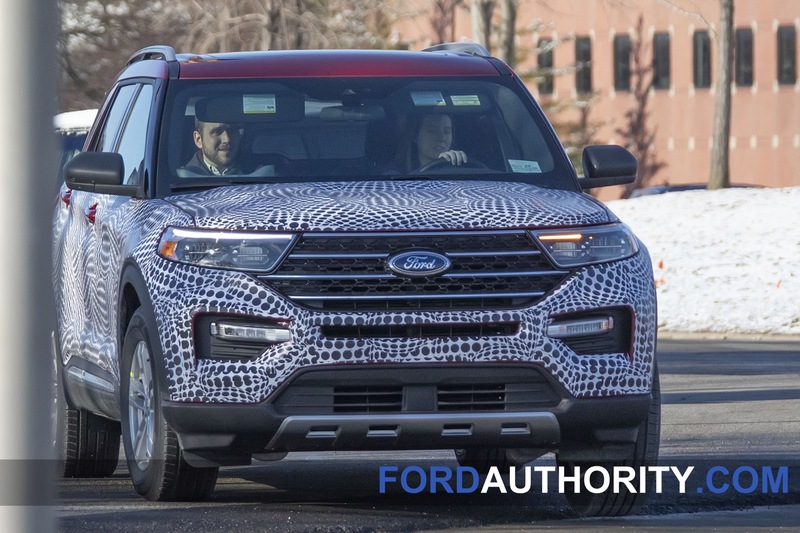 Behold our best look yet at the upcoming 2020 Ford Explorer. 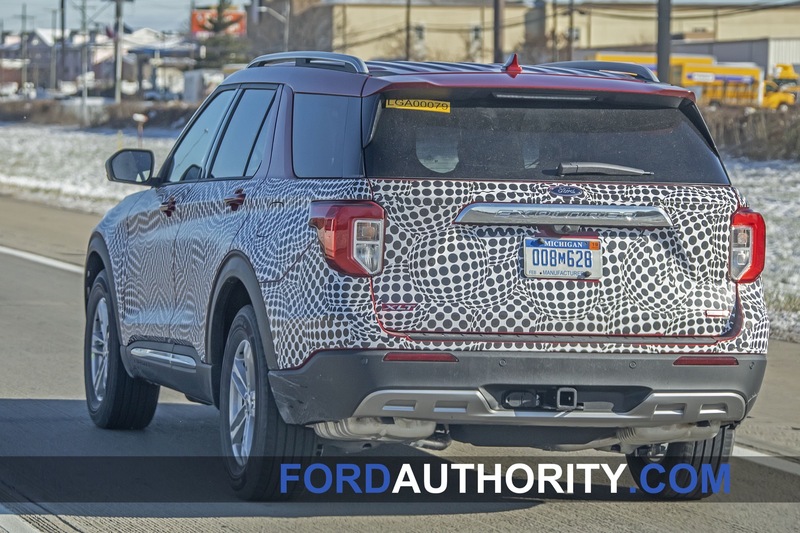 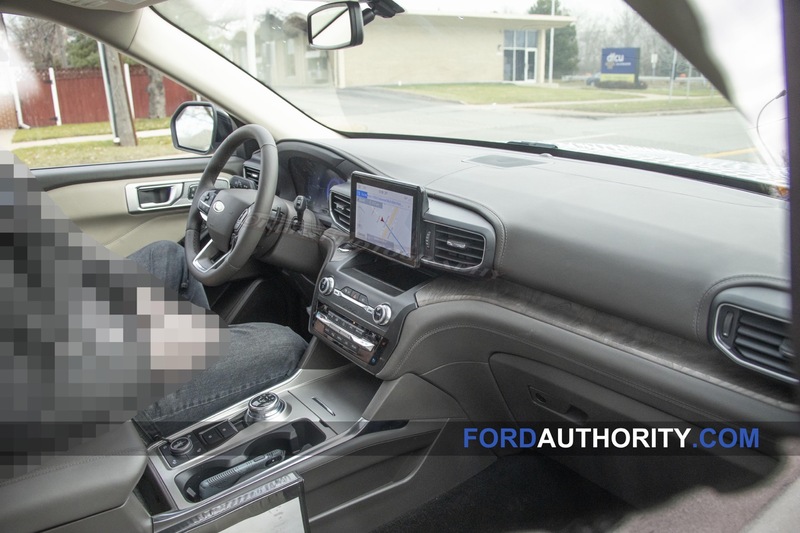 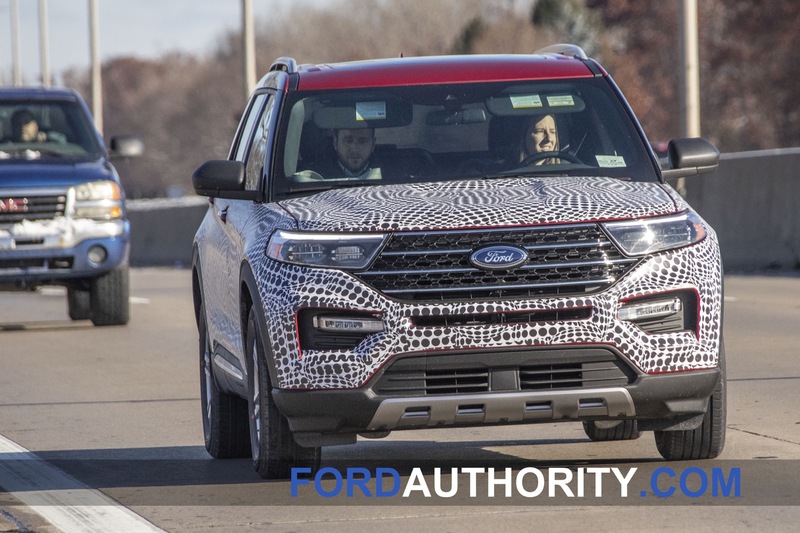 Caught by our eagle-eyes spy shooter roaming the highways near Ford’s Dearborn headquarters, this prototype is almost devoid of any camouflage, while wearing various production elements. 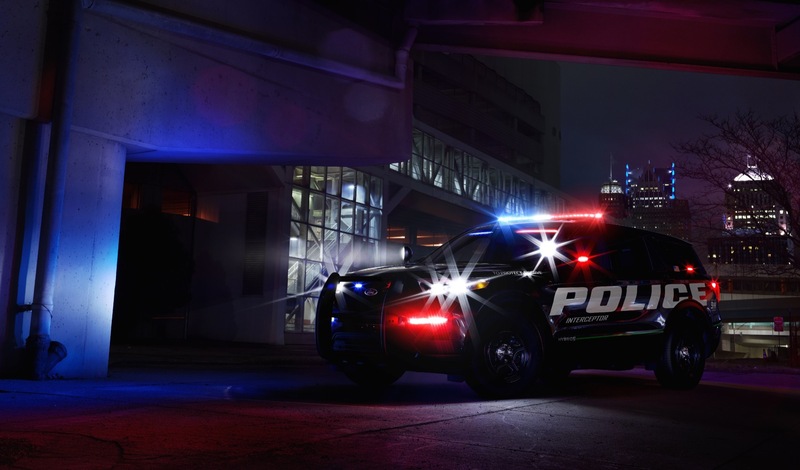 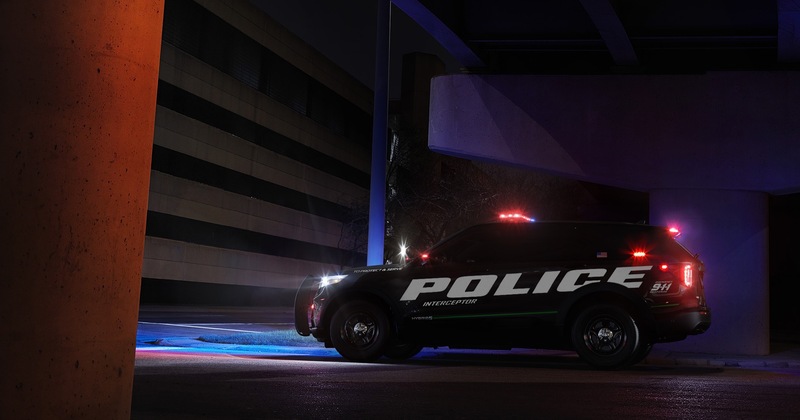 Prior to this sighting, our best look yet at the 2020 Explorer was the 2020 Police Interceptor Utility – a version of the future Explorer for police duty. 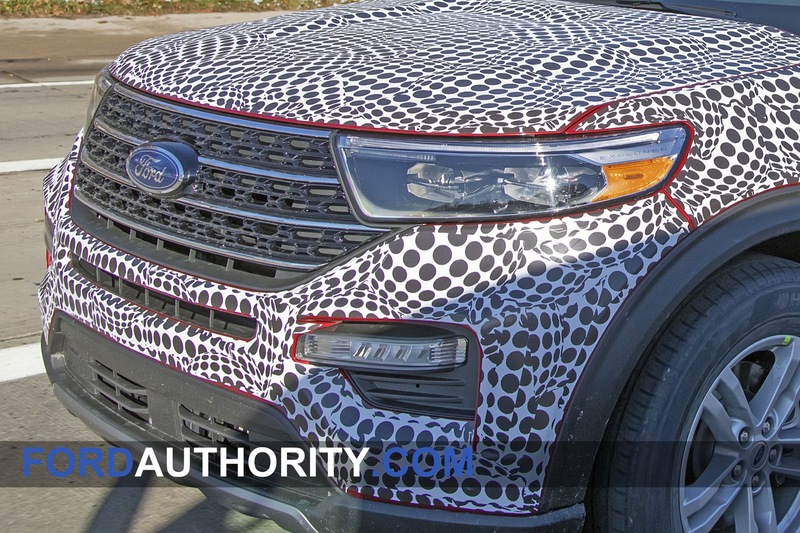 In fact, this new prototype gives us our best look yet at the production grille and lighting elements. 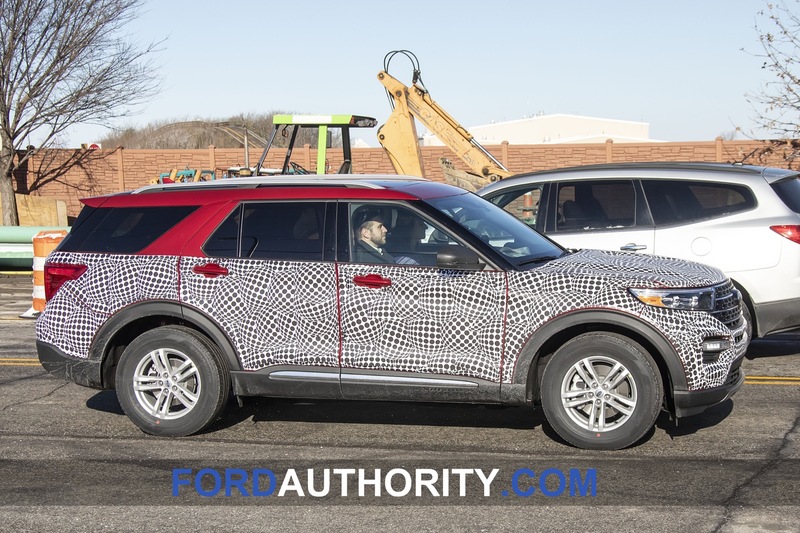 Out front, we can see the final grille design along with LED signatures. 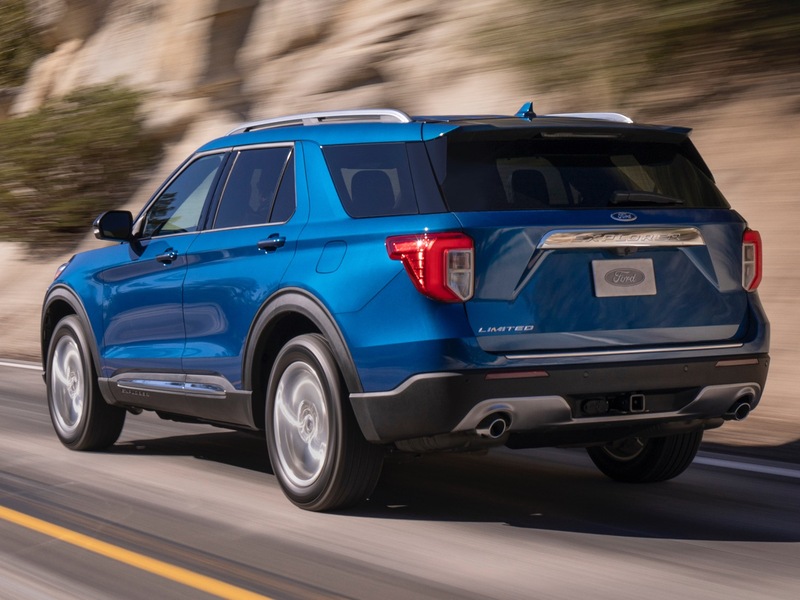 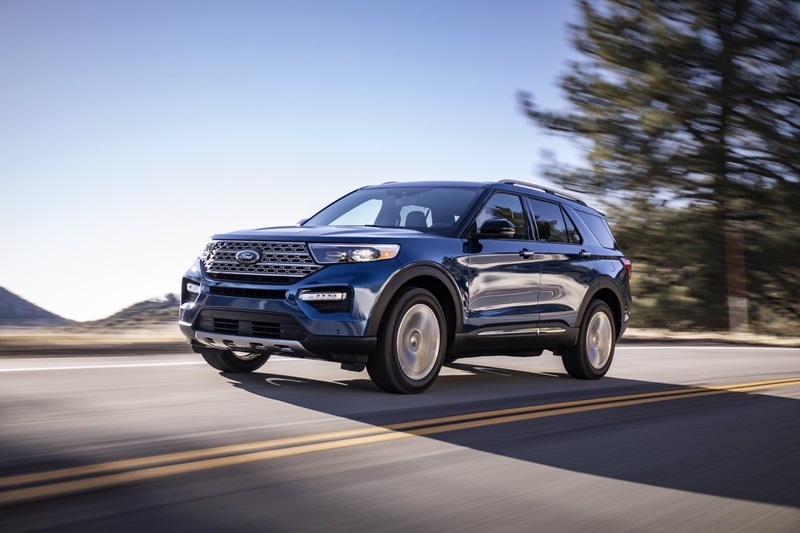 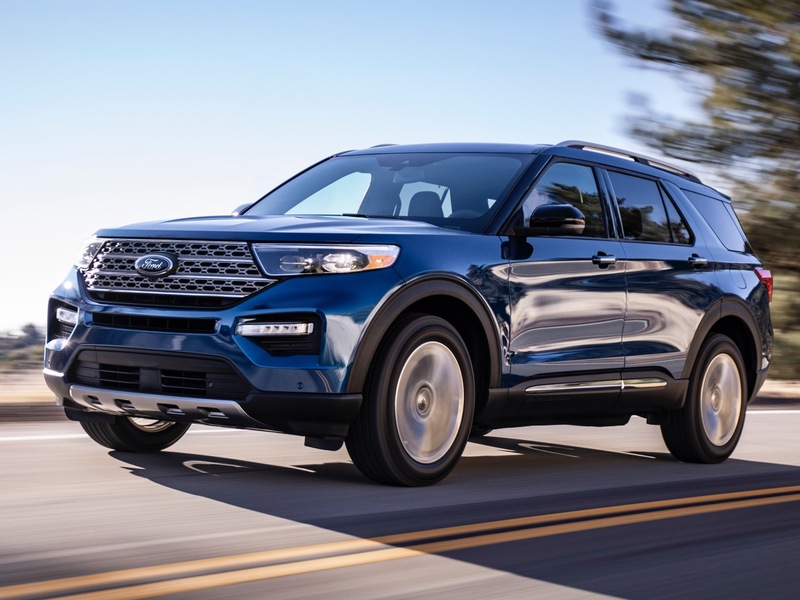 When compared to the Police Interceptor Utility, the 2020 Explorer features a less aggressive, friendlier face. 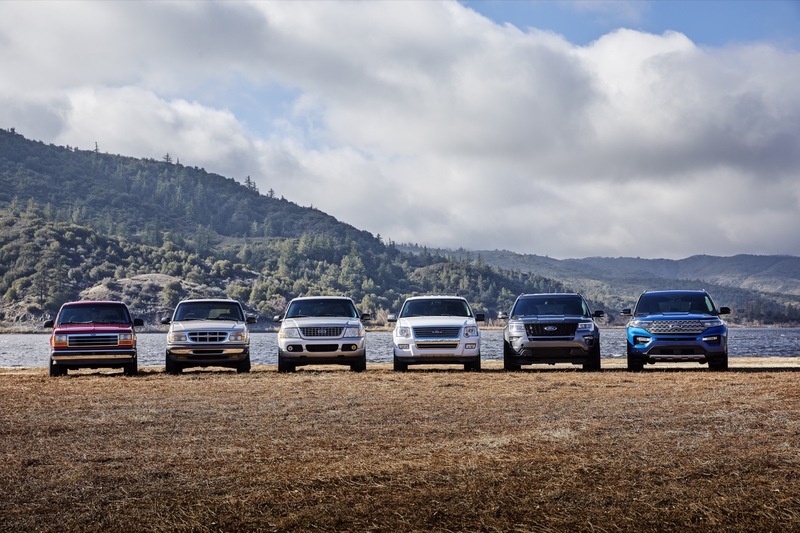 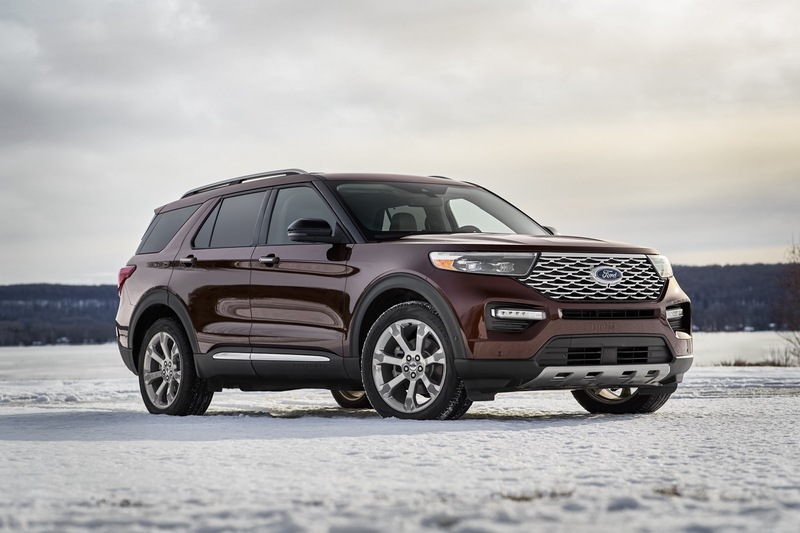 In fact, we are probably looking at one of the lower-end models – either the base or the XLT. 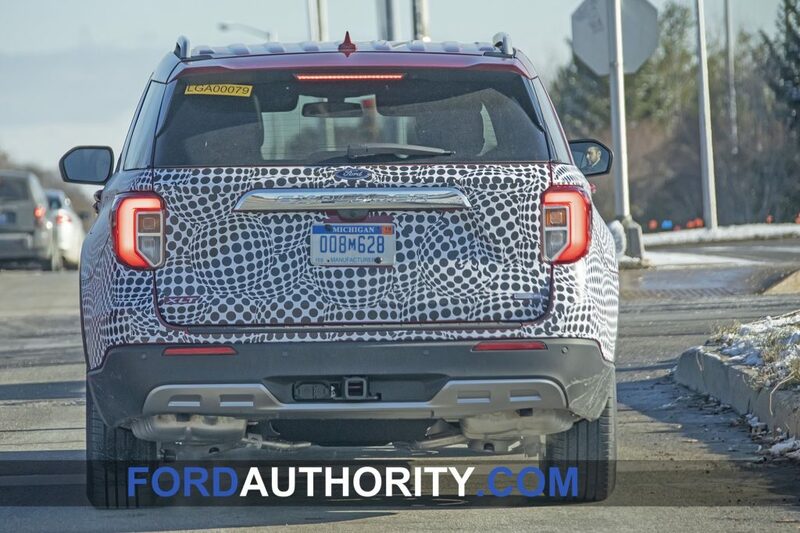 Out back, a set of LED taillights with Ford’s signature C-shaped lighting elements are present and accounted for. 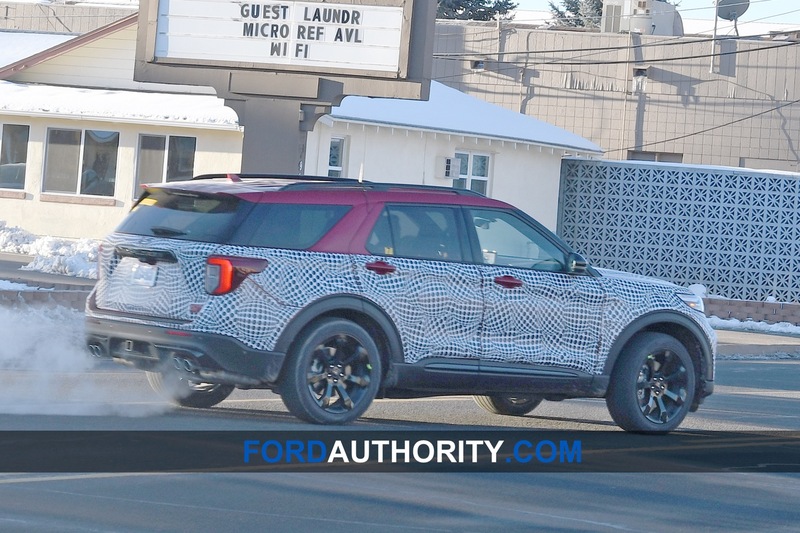 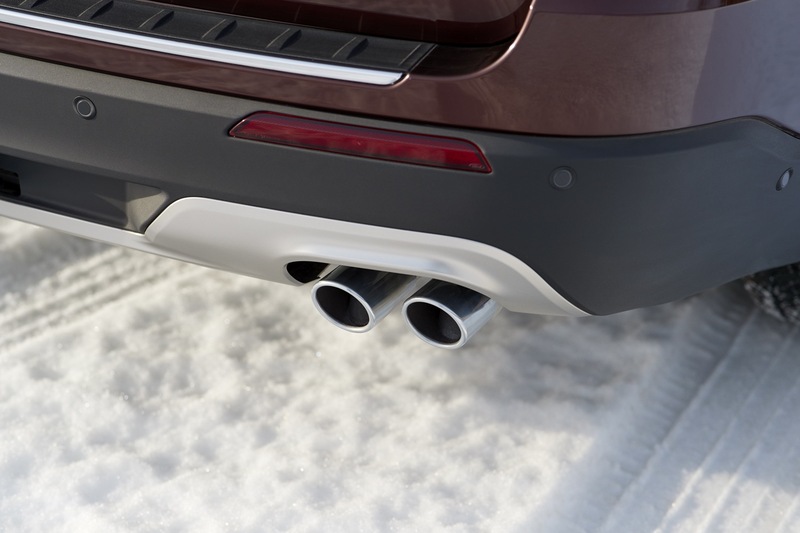 The unpainted, gray bumper cover and tucked-under dual exhaust tips further confirm our suspicions that we’re looking at the base model. 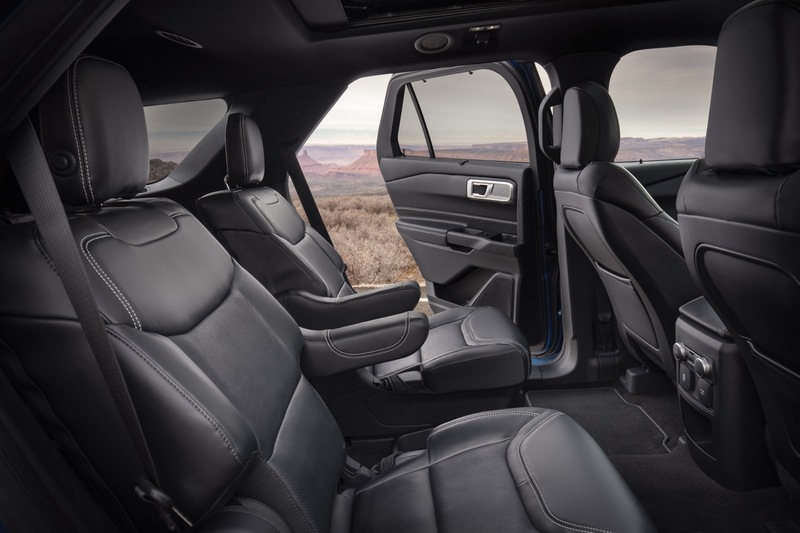 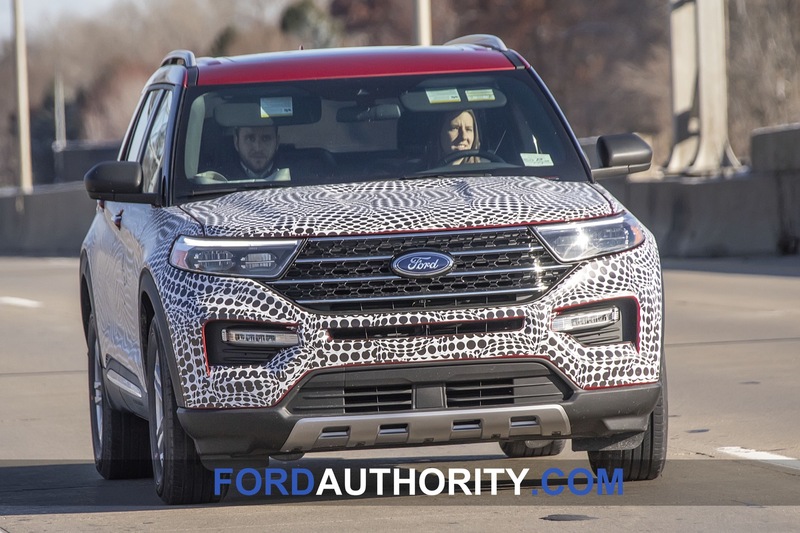 Overall, the shots show that the exterior design of the 2020 Explorer will be very much reminiscent of the current, fifth-generation model, while being more cleanly executed. 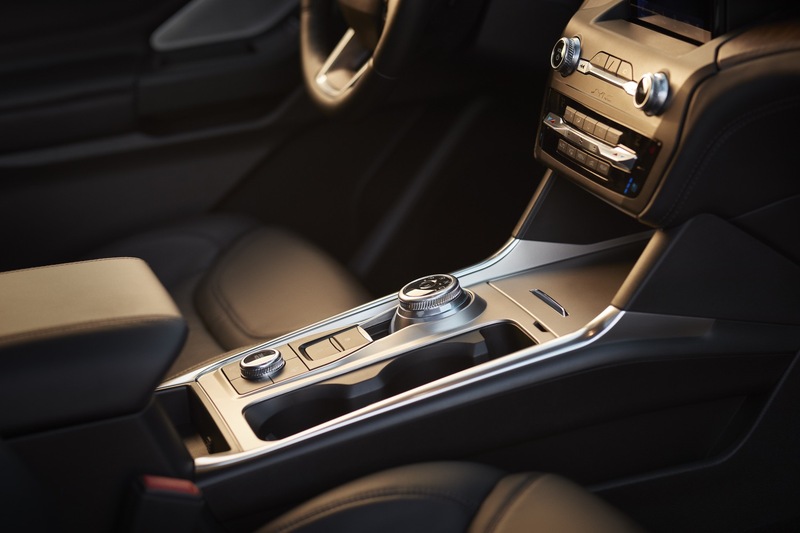 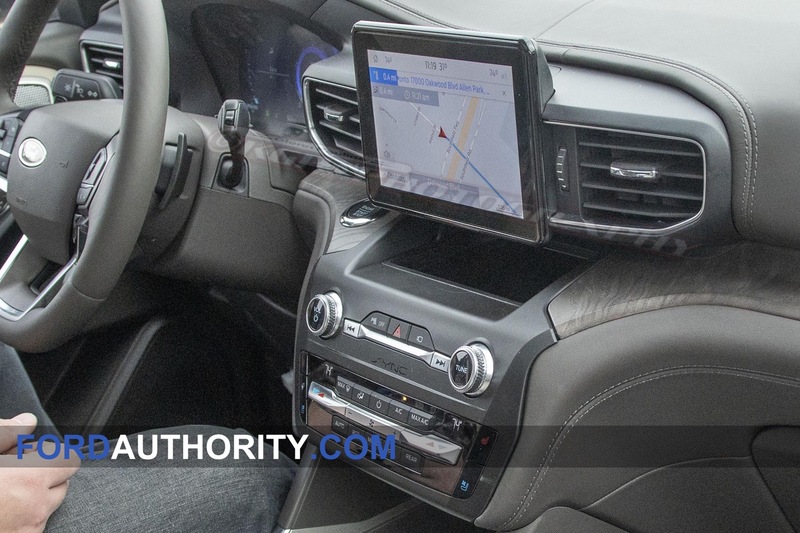 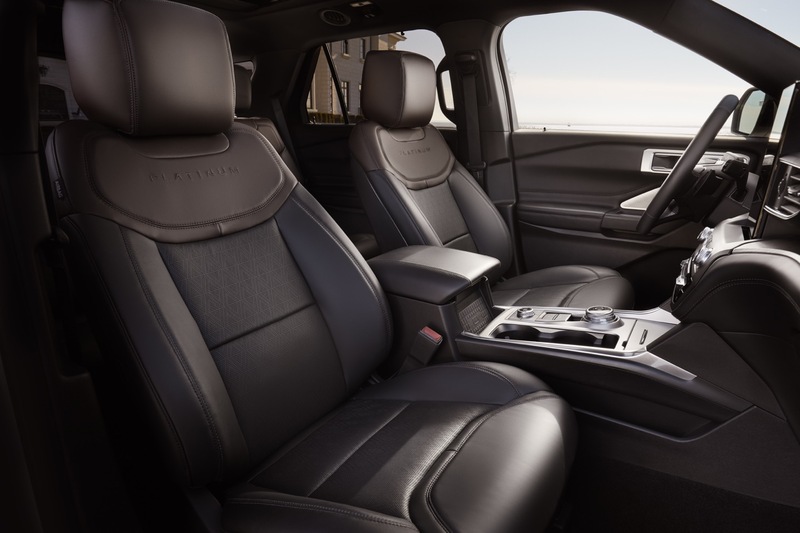 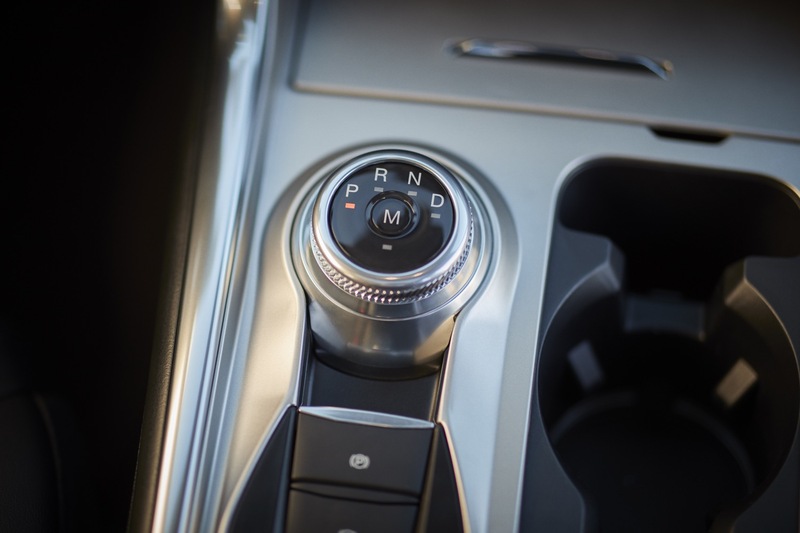 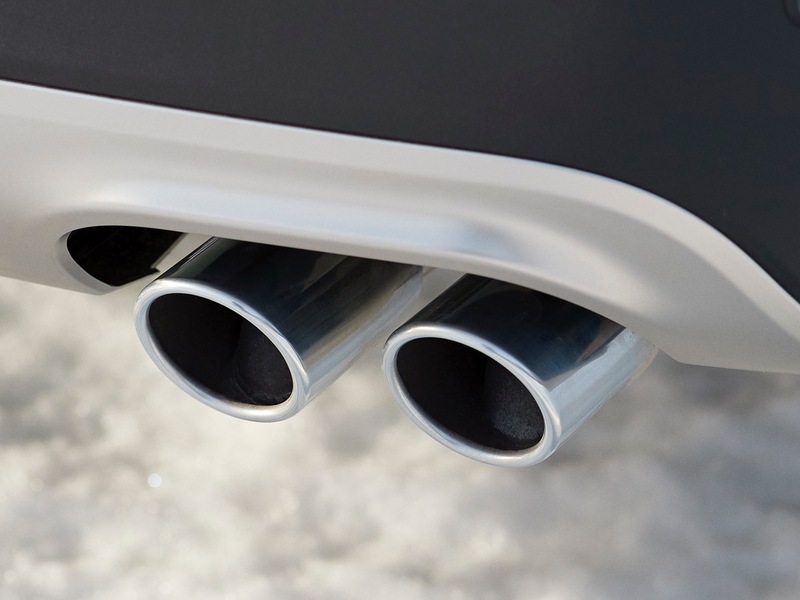 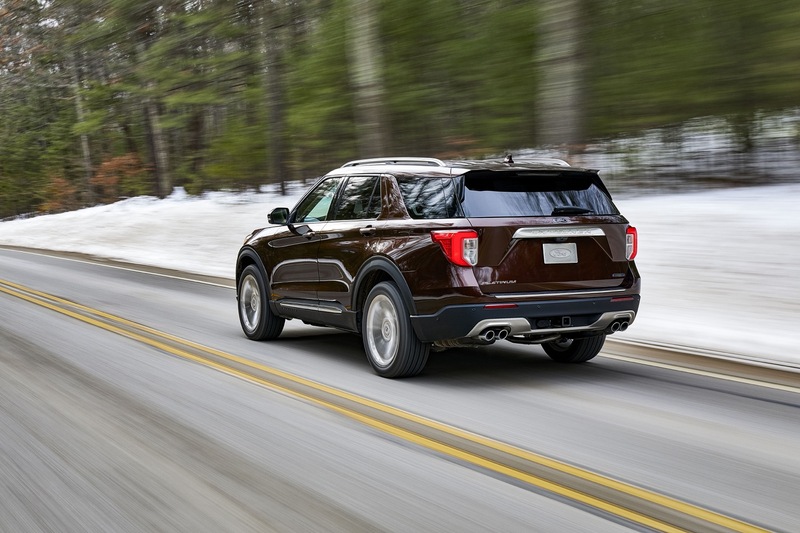 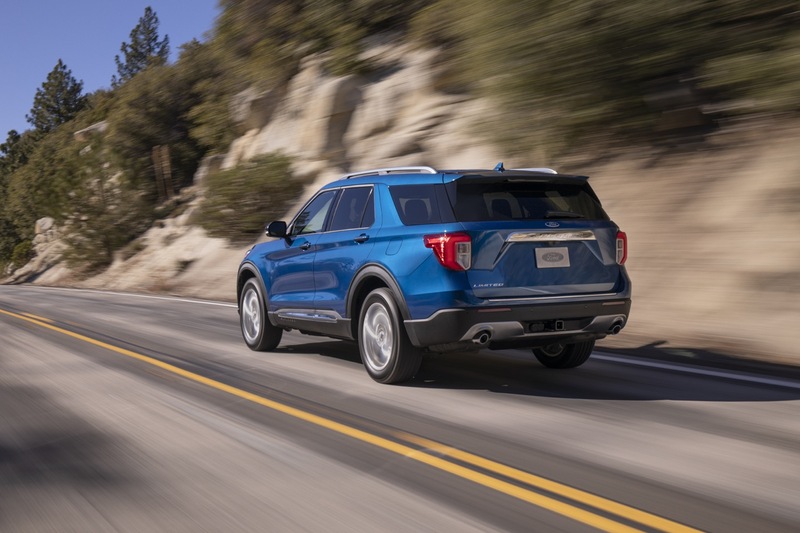 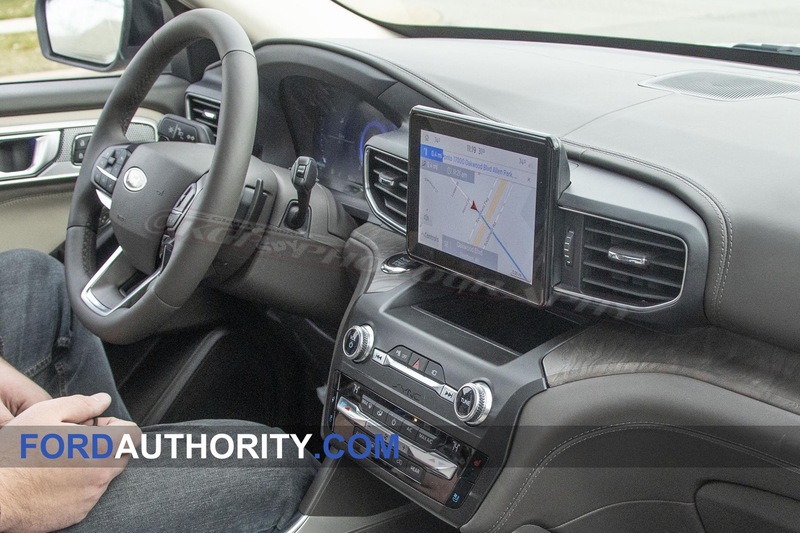 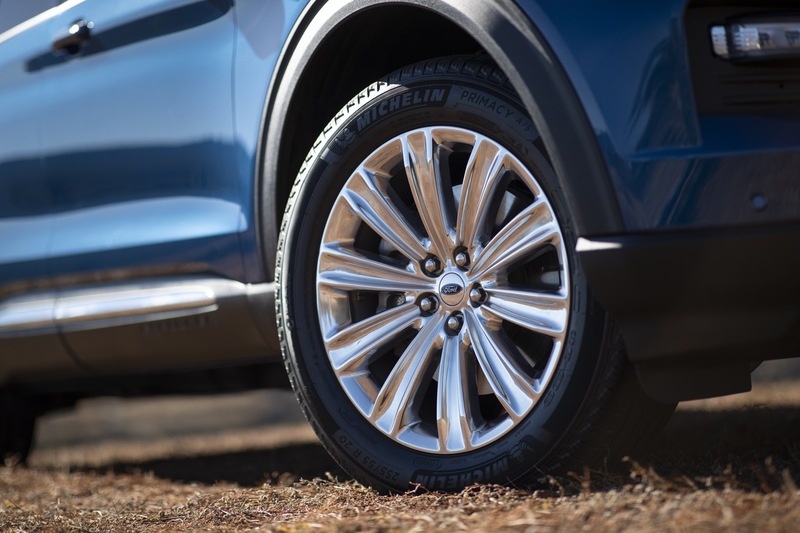 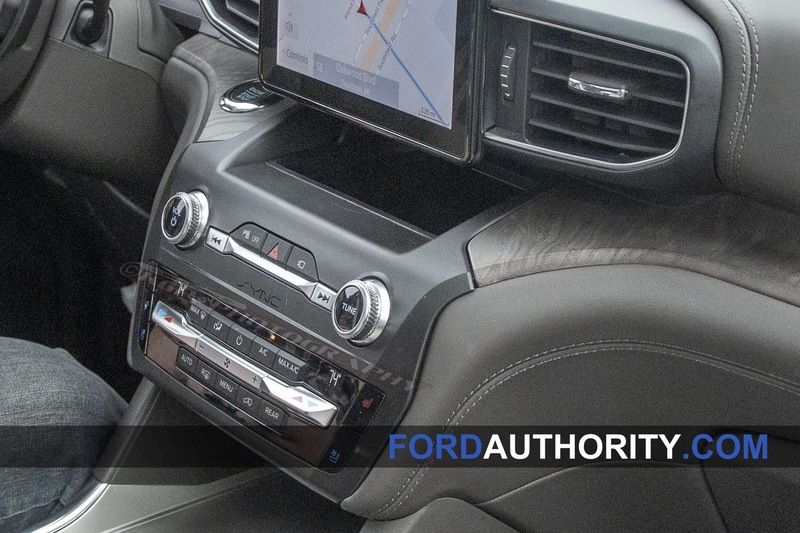 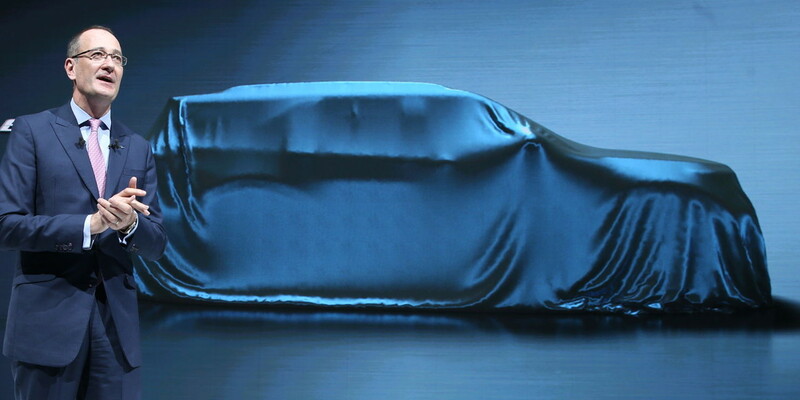 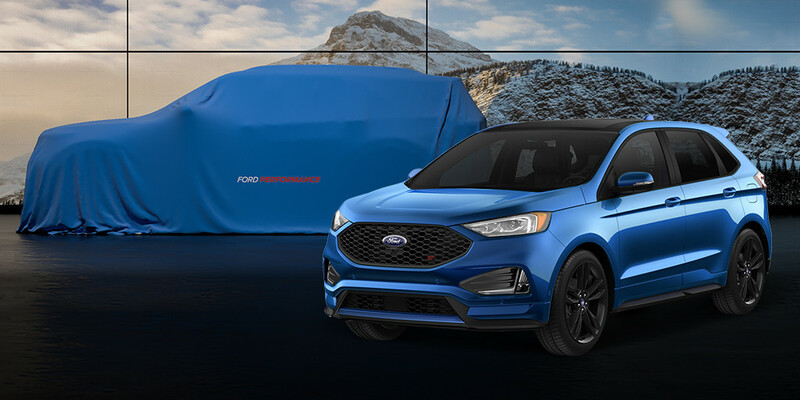 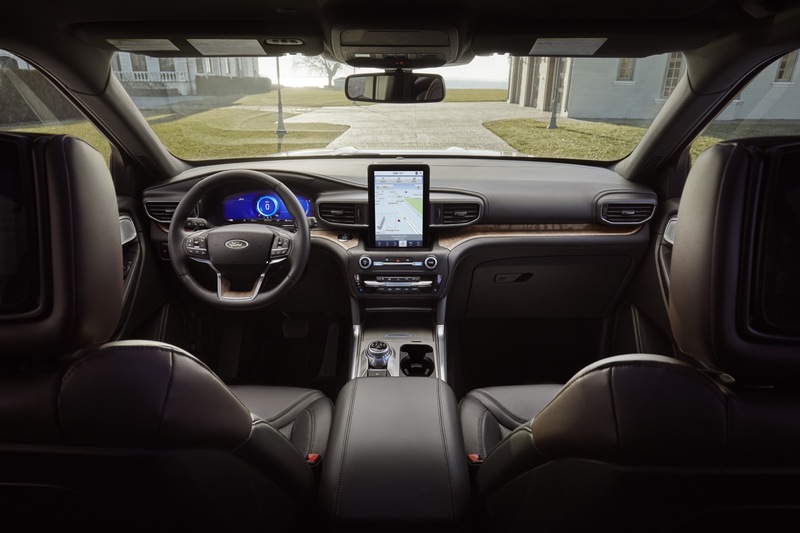 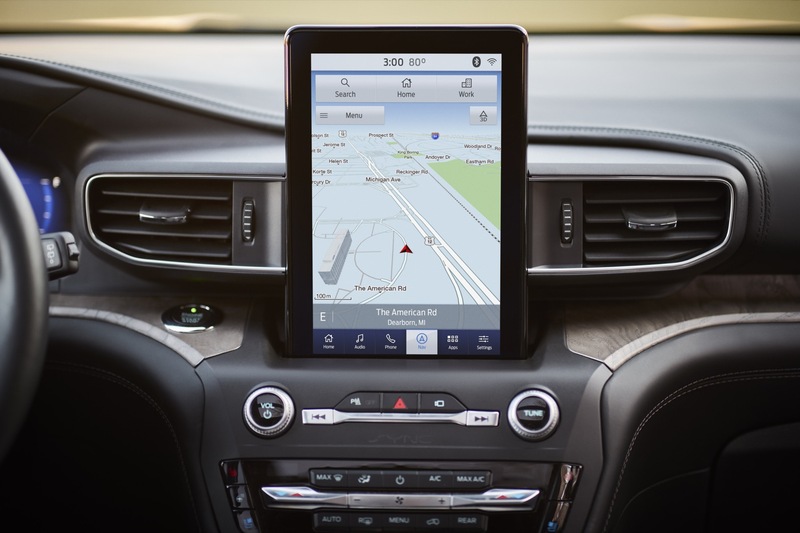 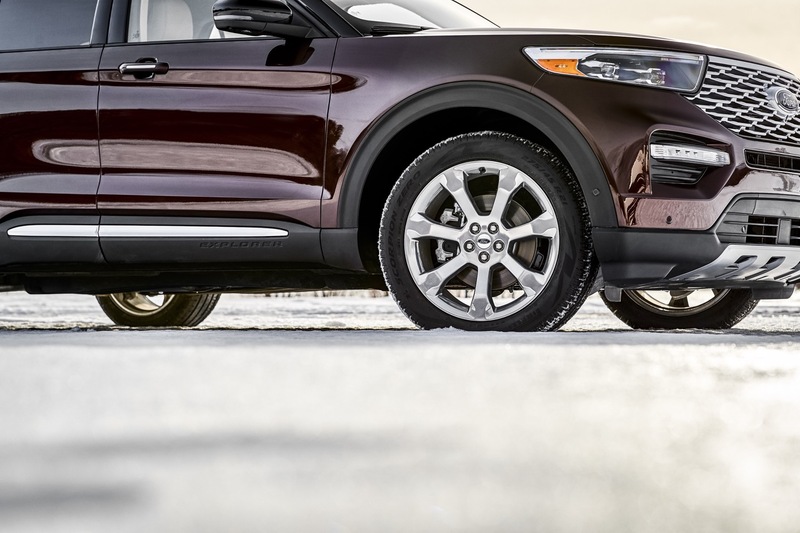 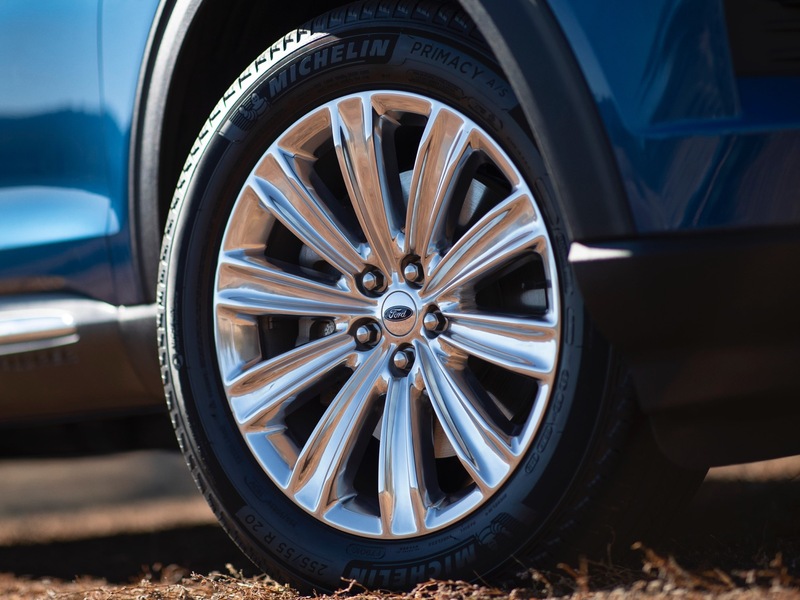 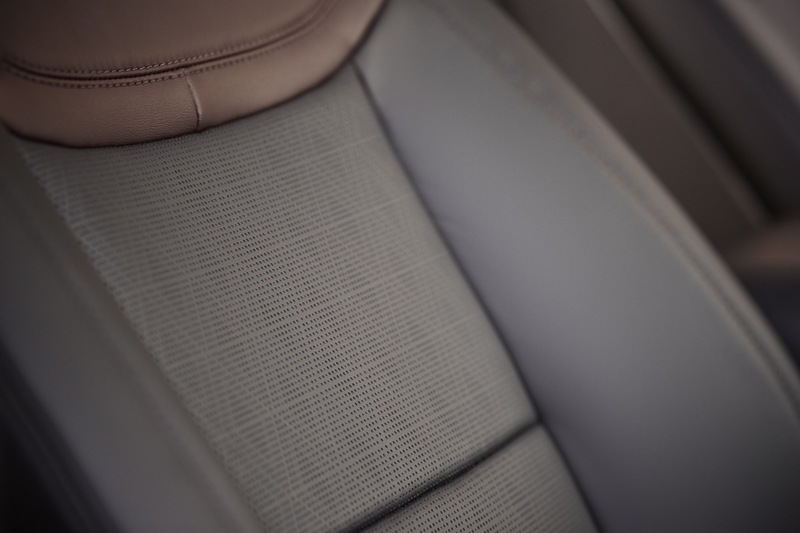 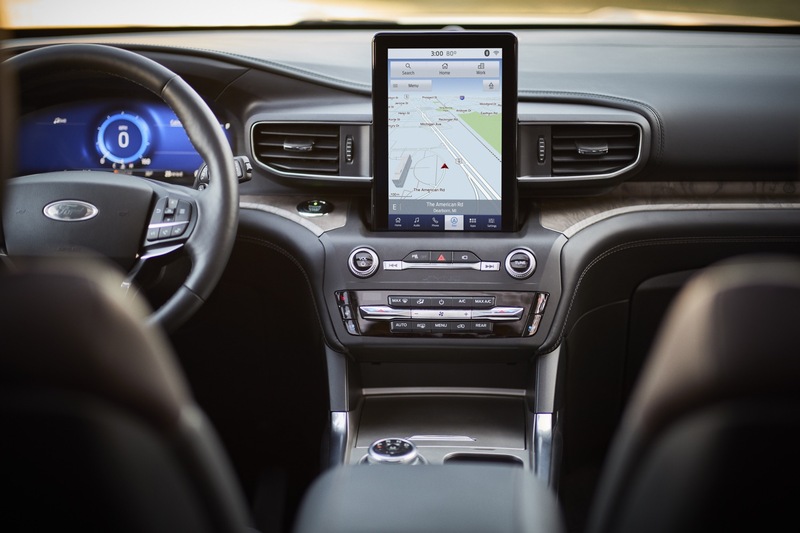 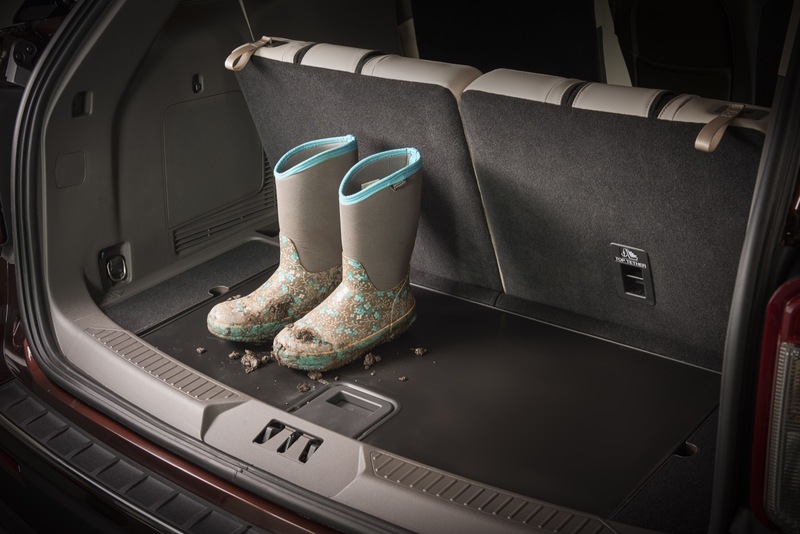 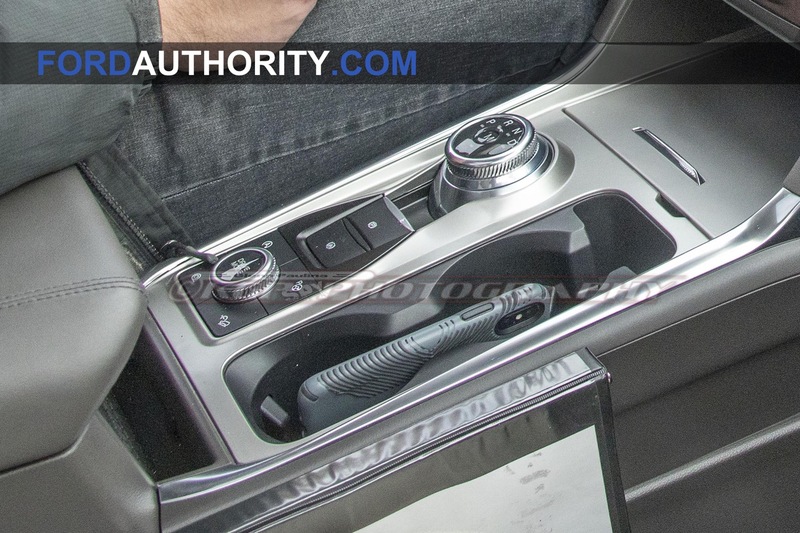 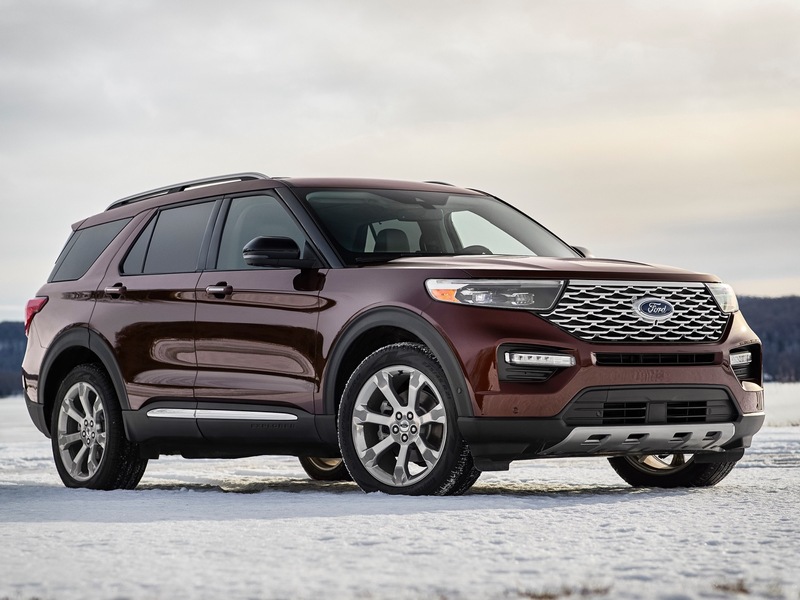 The all-new model will also feature better proportions thanks to a switch to the Ford CD6 rear-drive platform shared with the 2020 Lincoln Aviator and 2021 Ford Mustang. 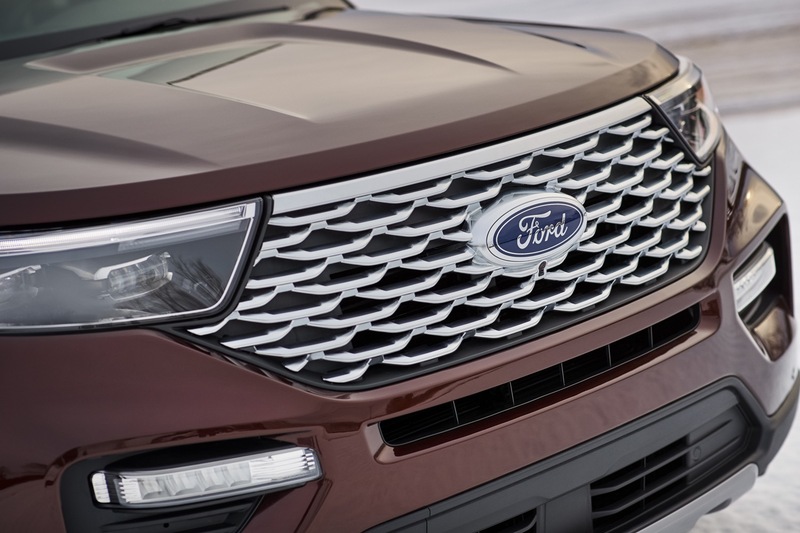 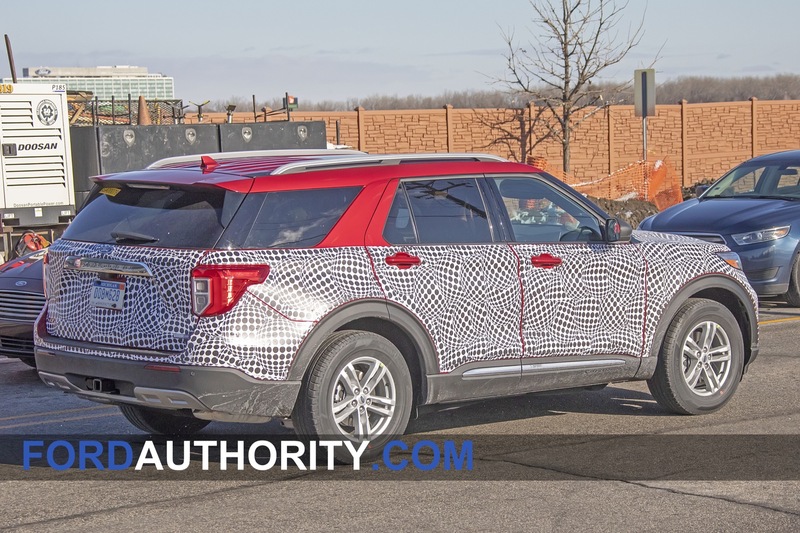 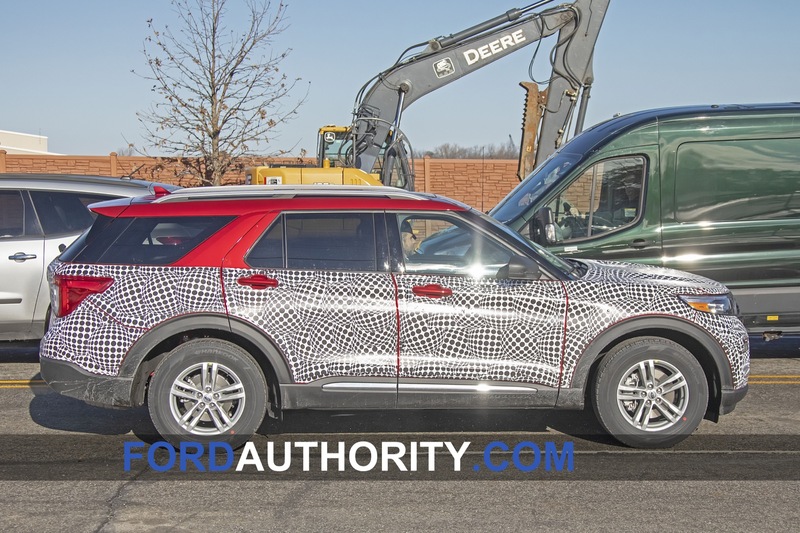 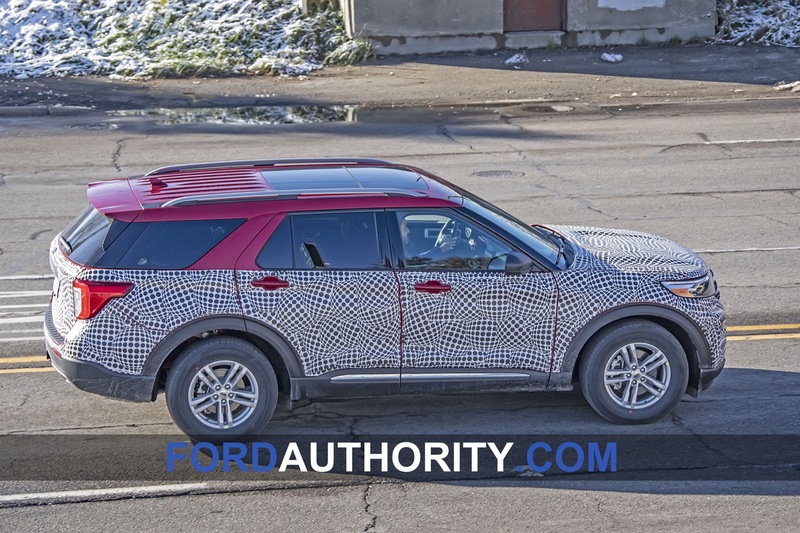 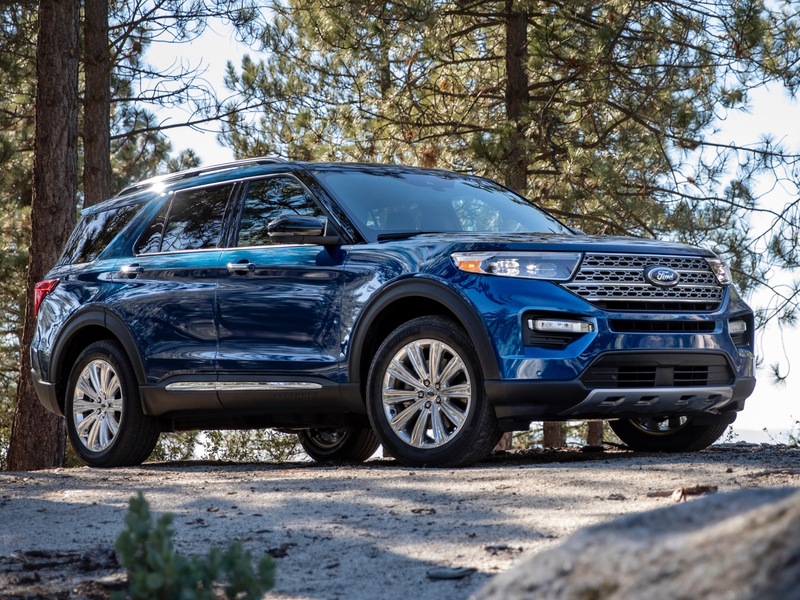 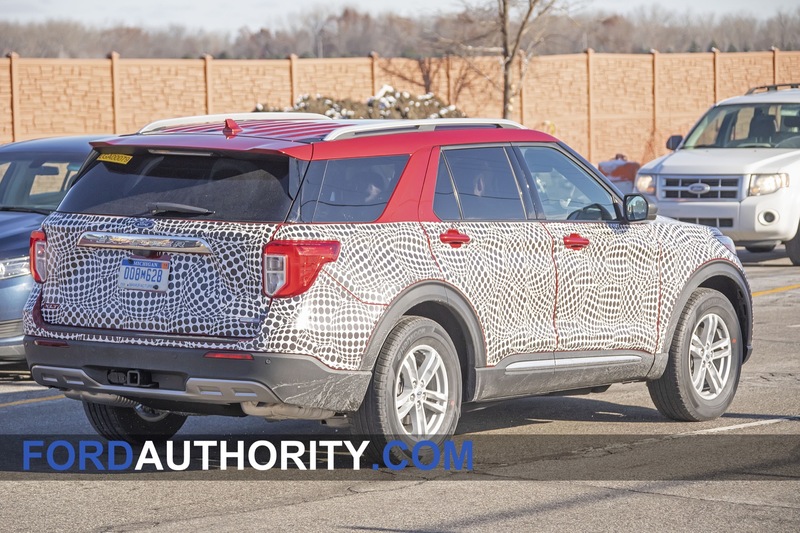 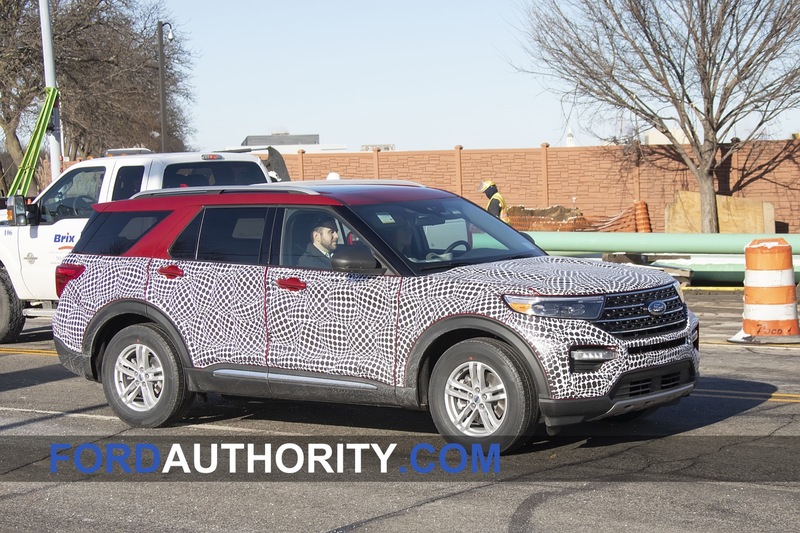 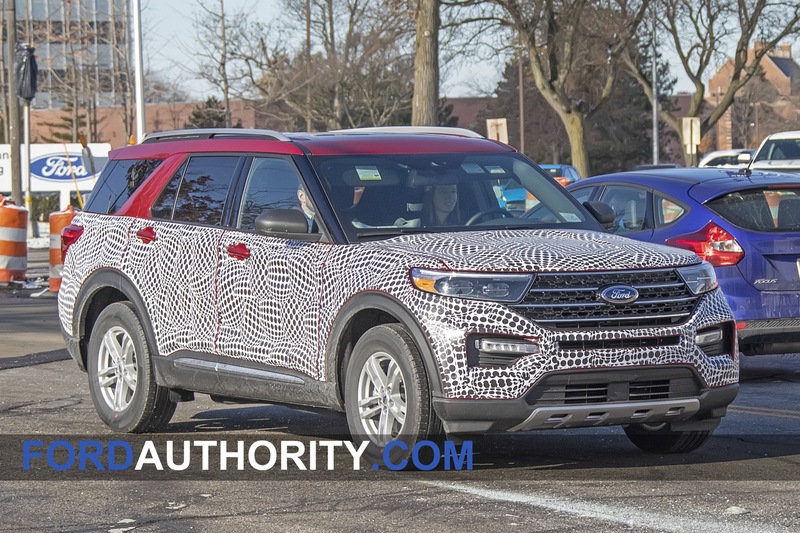 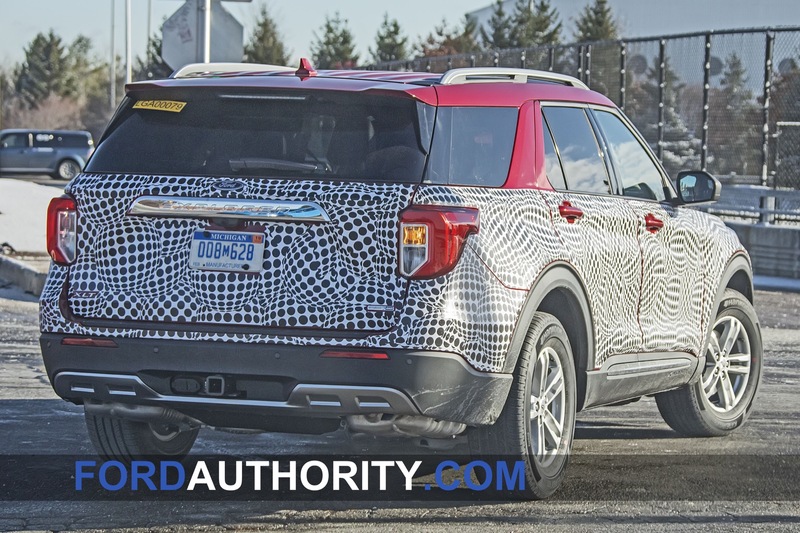 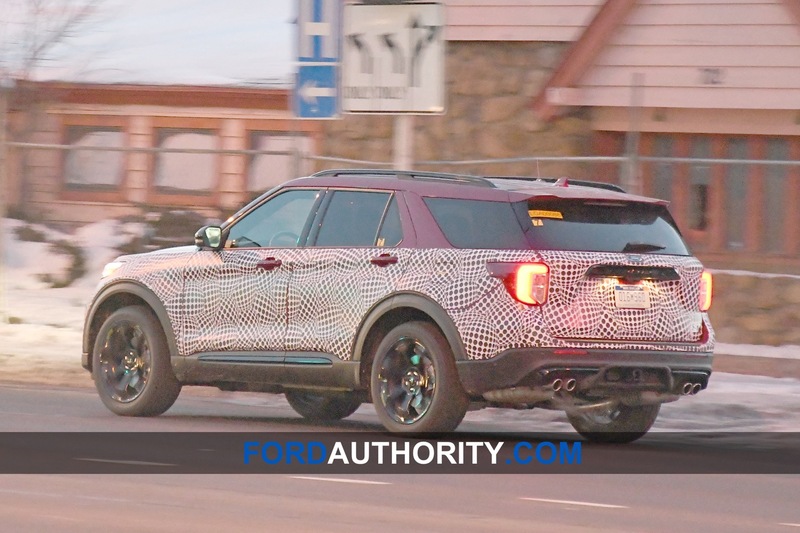 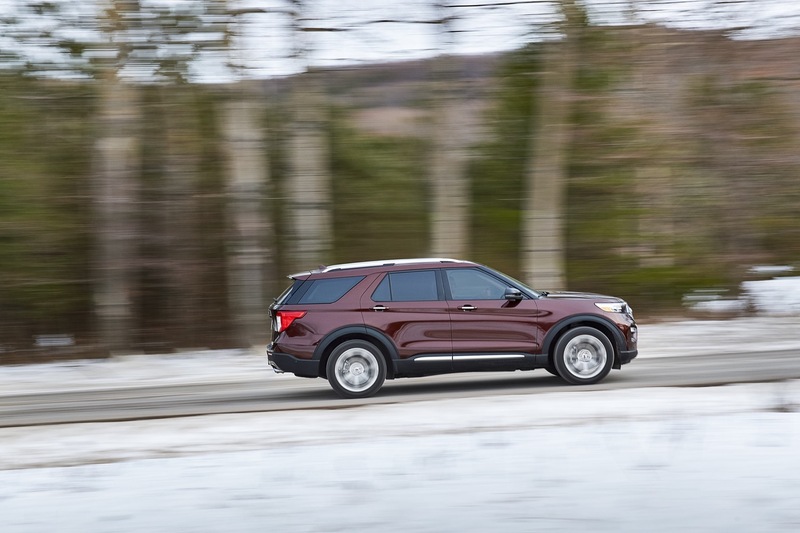 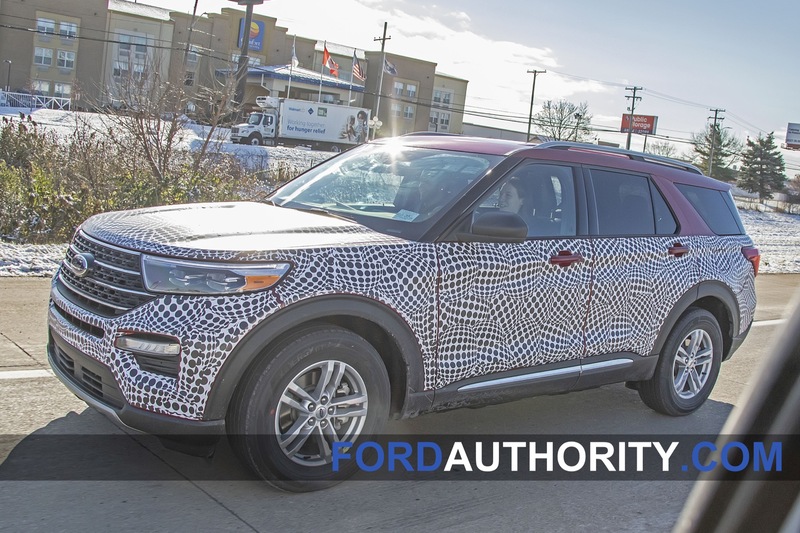 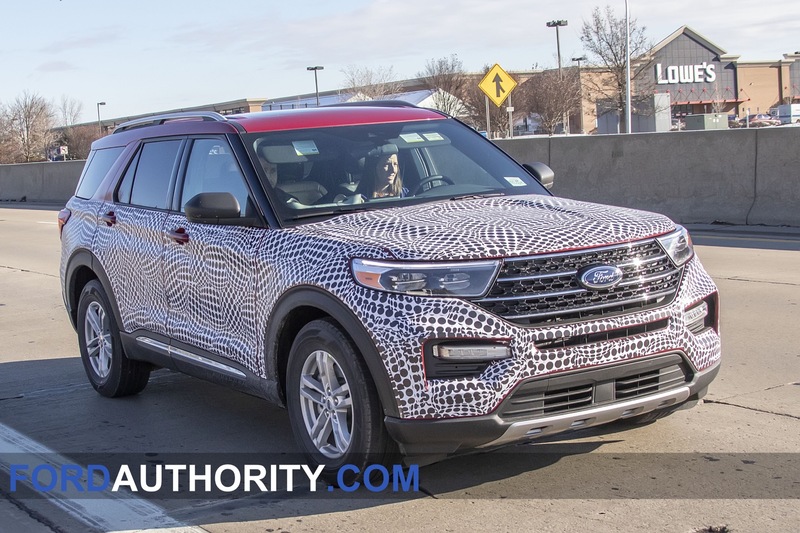 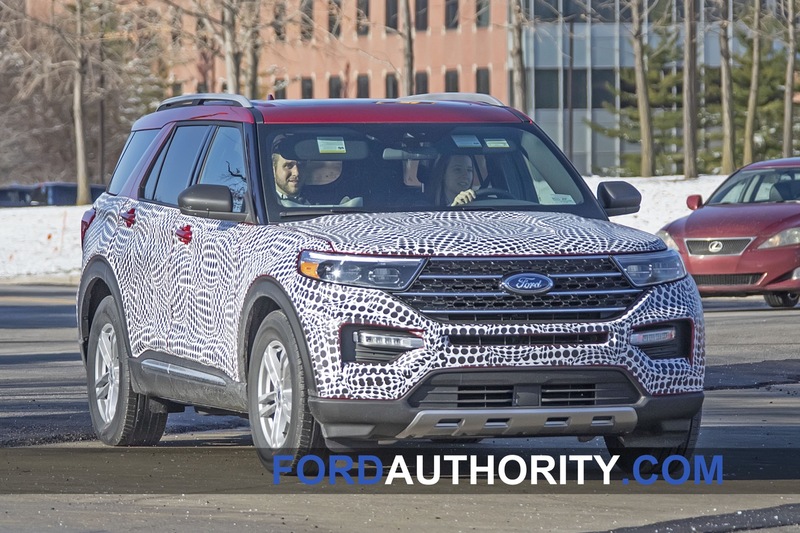 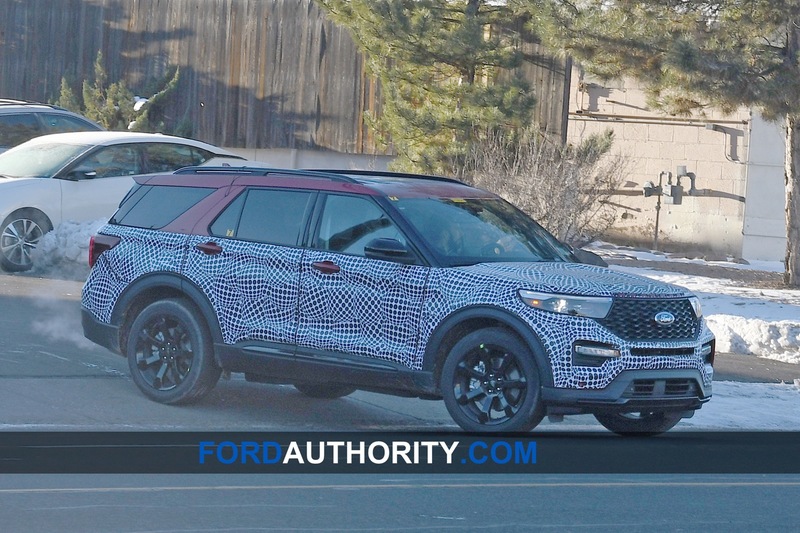 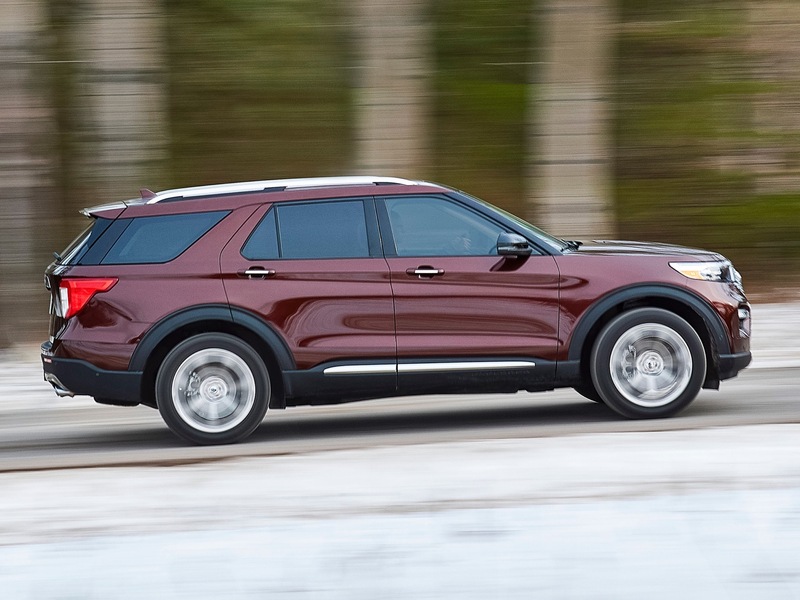 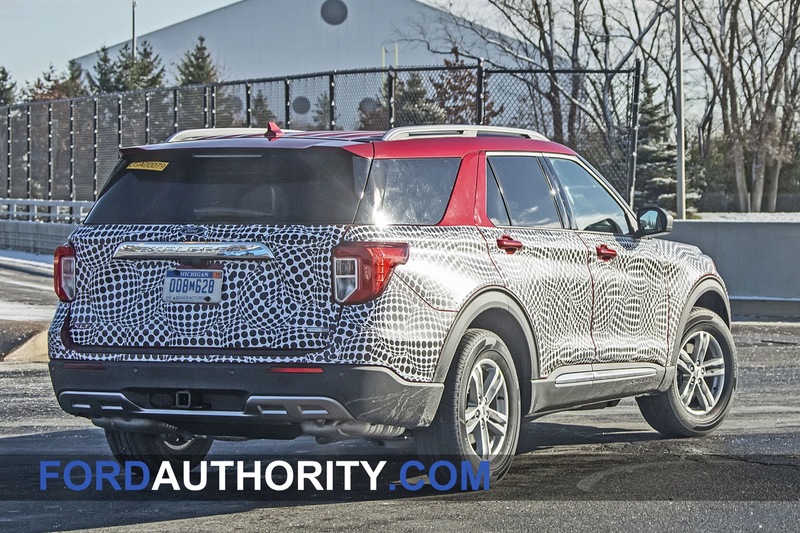 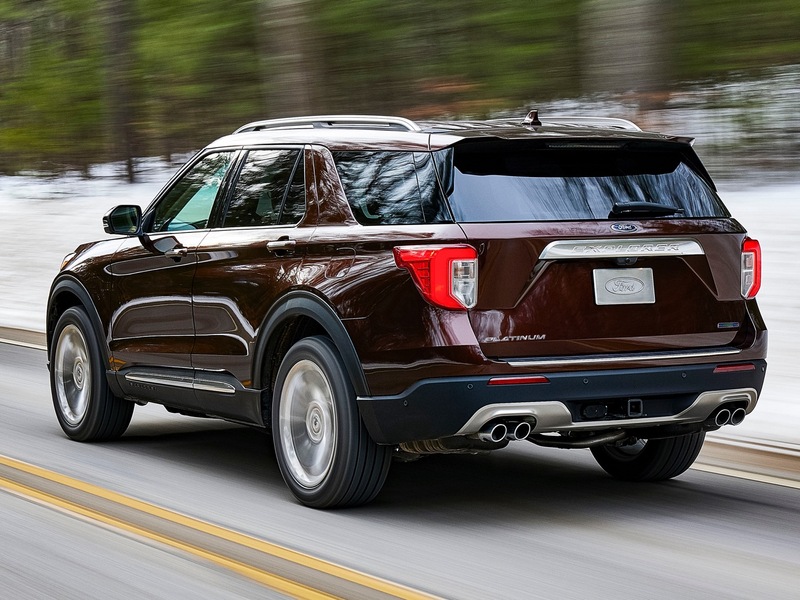 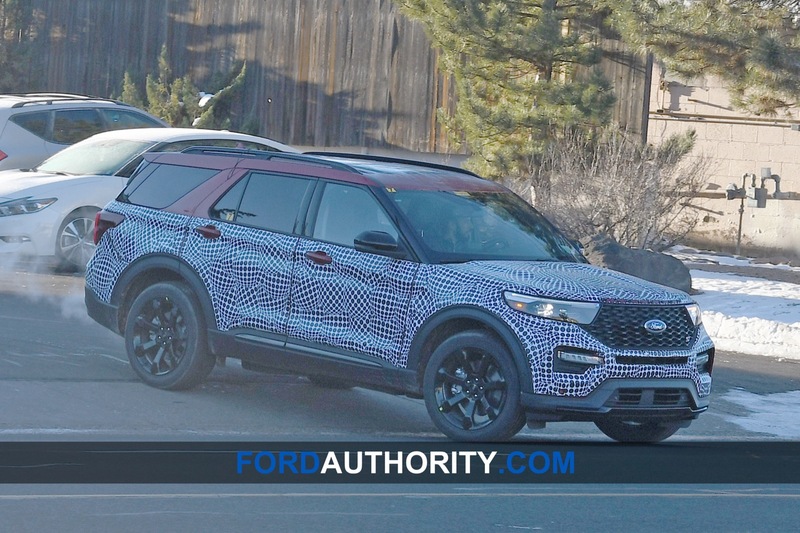 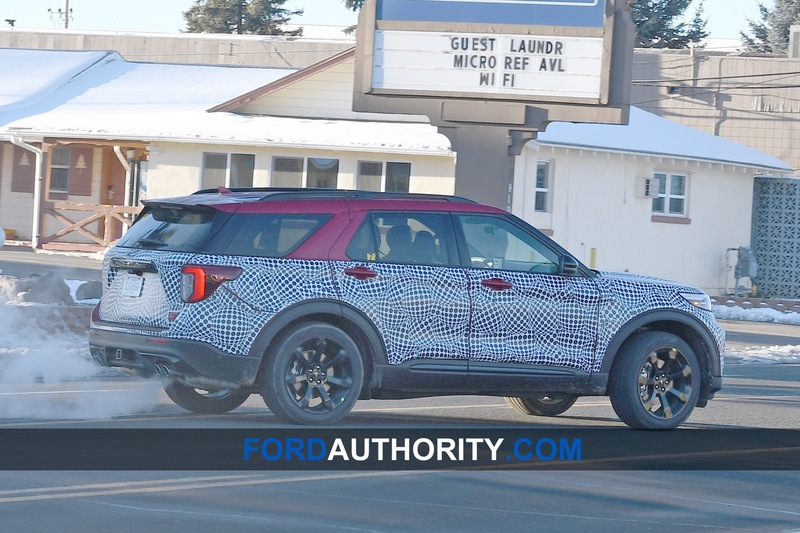 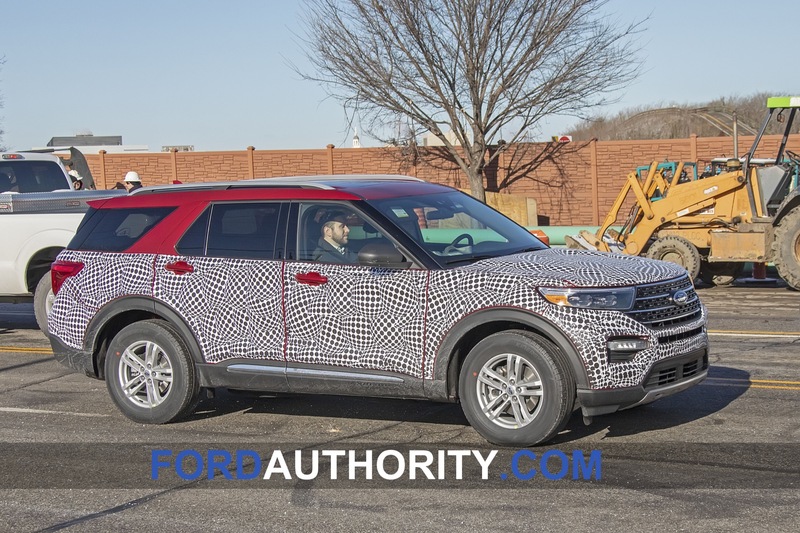 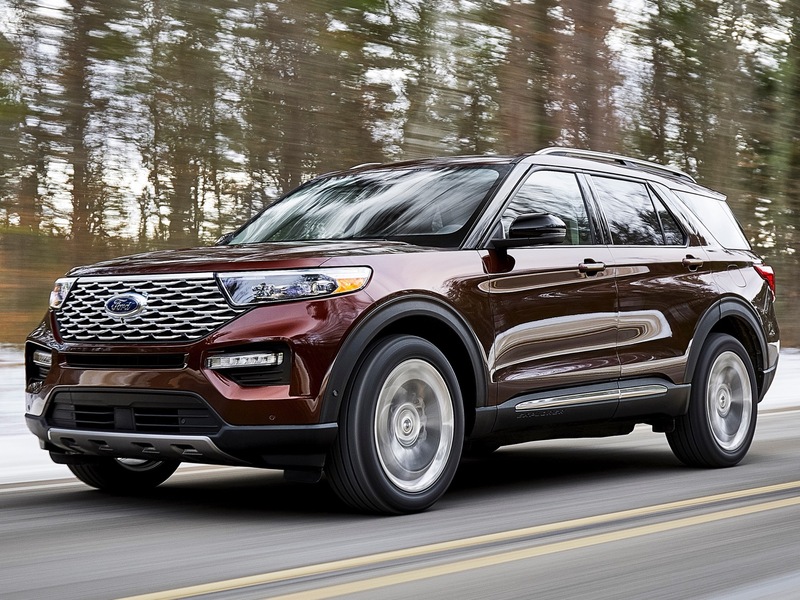 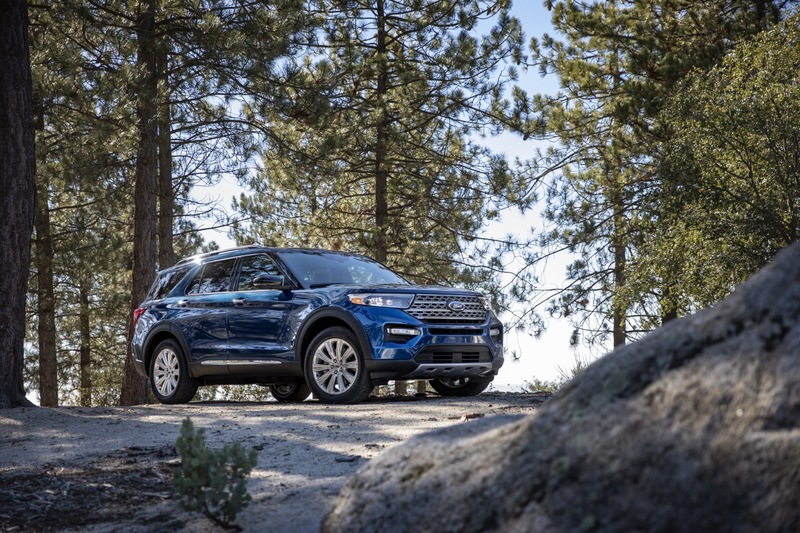 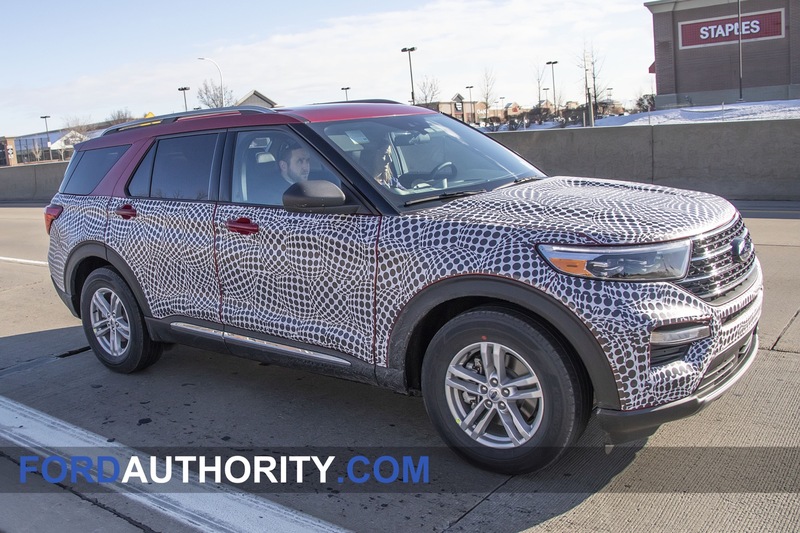 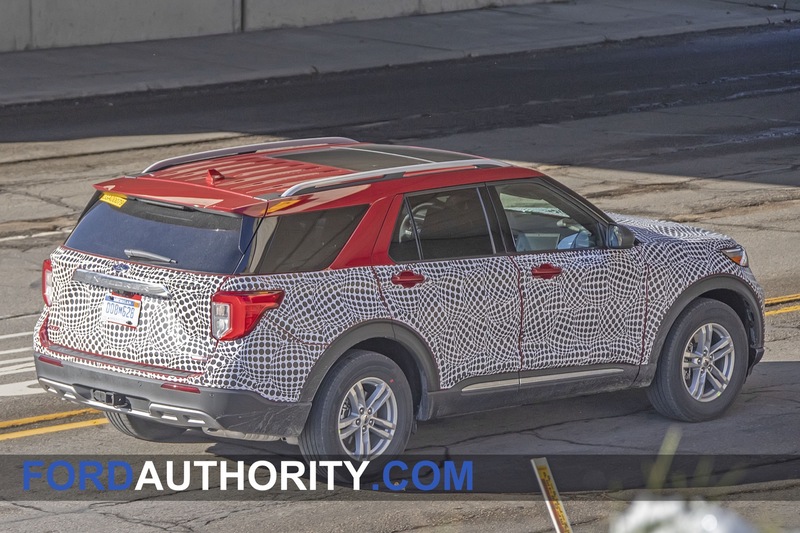 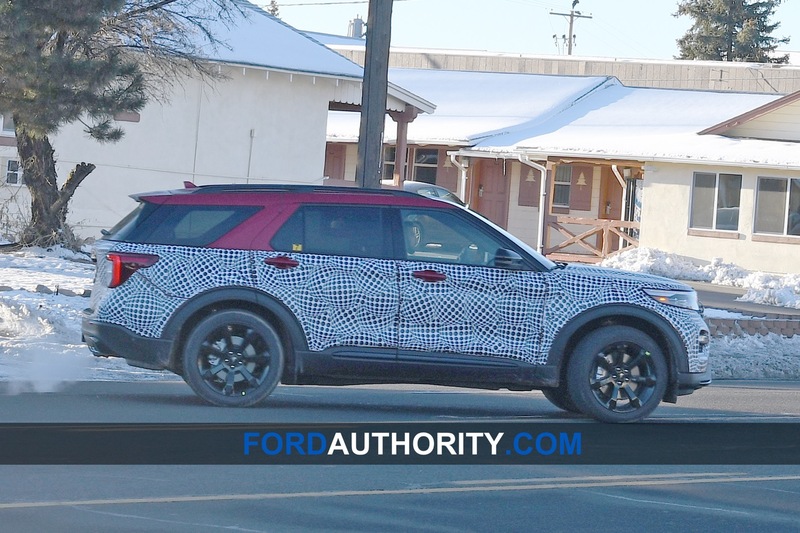 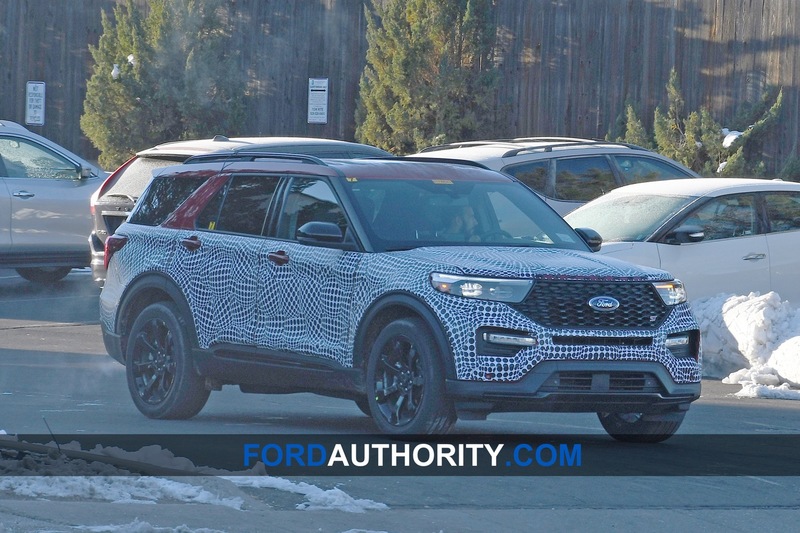 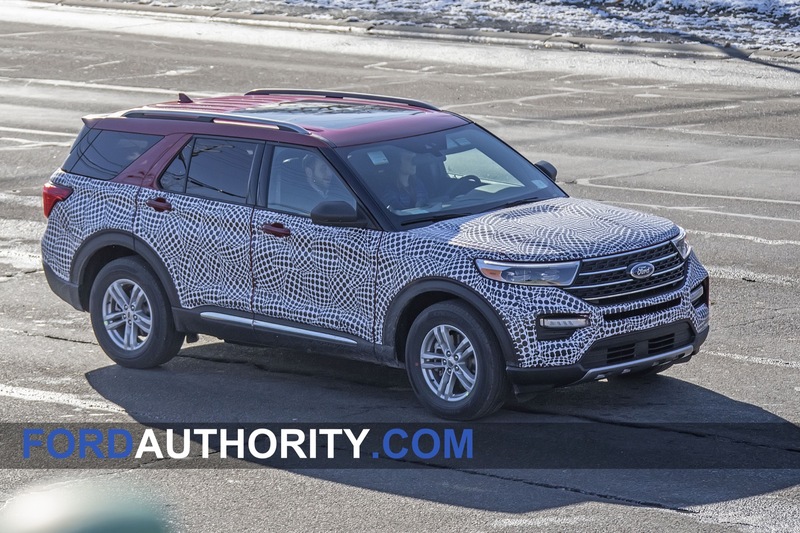 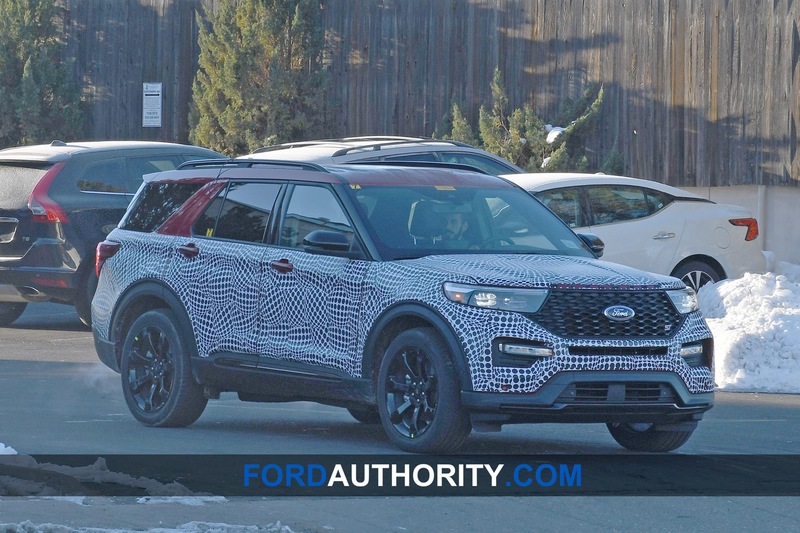 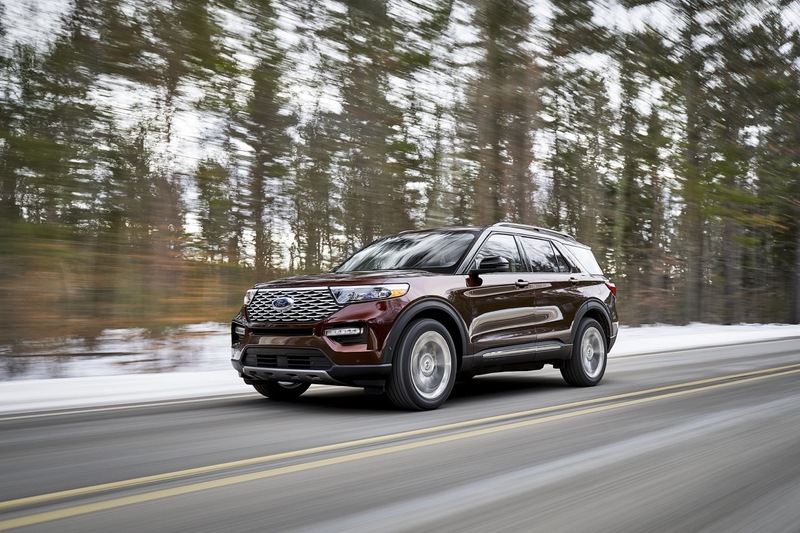 2020 Ford Explorer: Hot or Not? 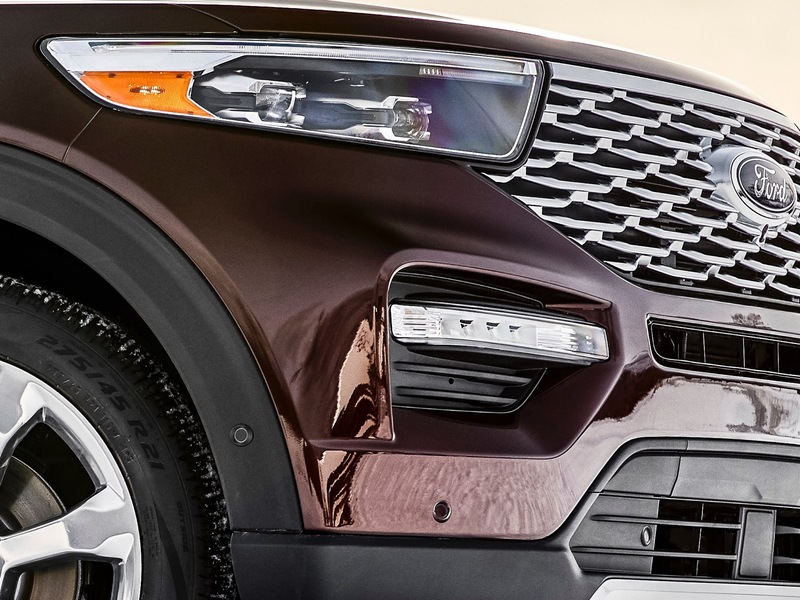 Is the current explorer, front drive?